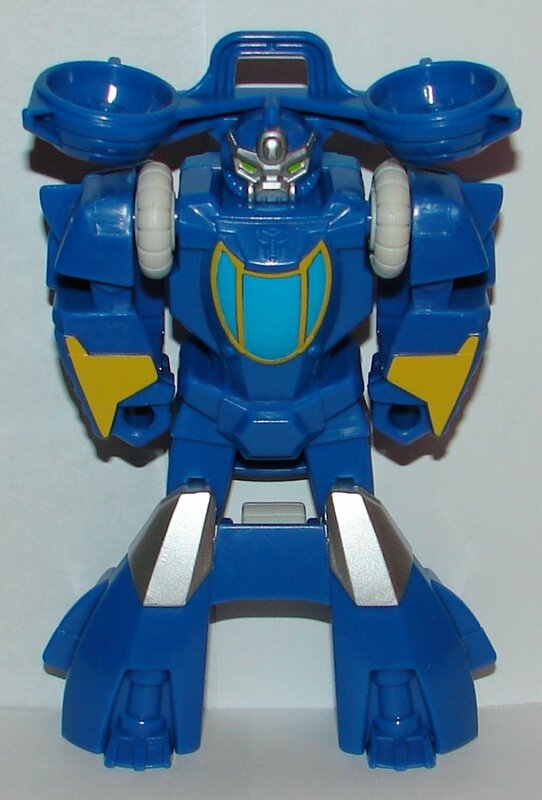 I really like High Tide, even though his transformation is ultra simple. Just fold back his legs and you’re done. This simple transformation does enable one of the Rescue Rigs best features. More on that later. 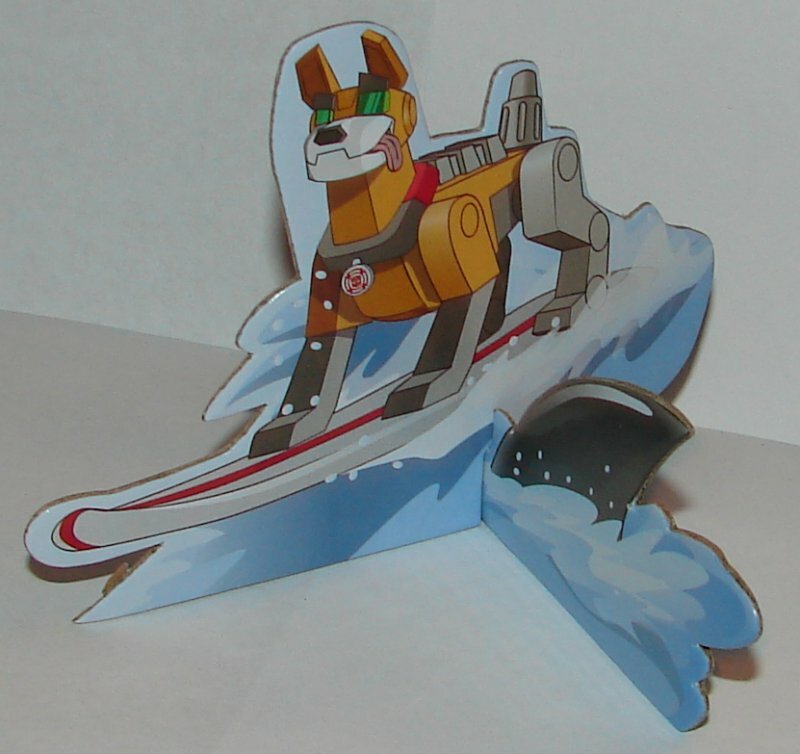 Cody and Rescue are just cardboard stand ups. 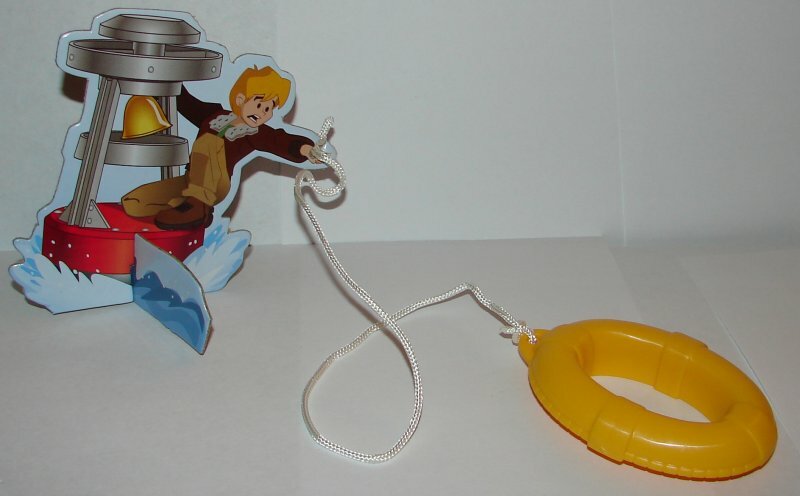 There is a plastic life preserver that can be connected to a slot on Cody’s hand. 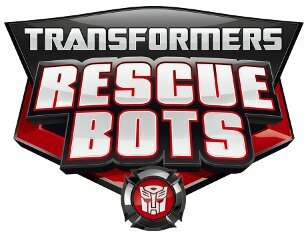 I am extremely disappointed in the Rescue Rig. 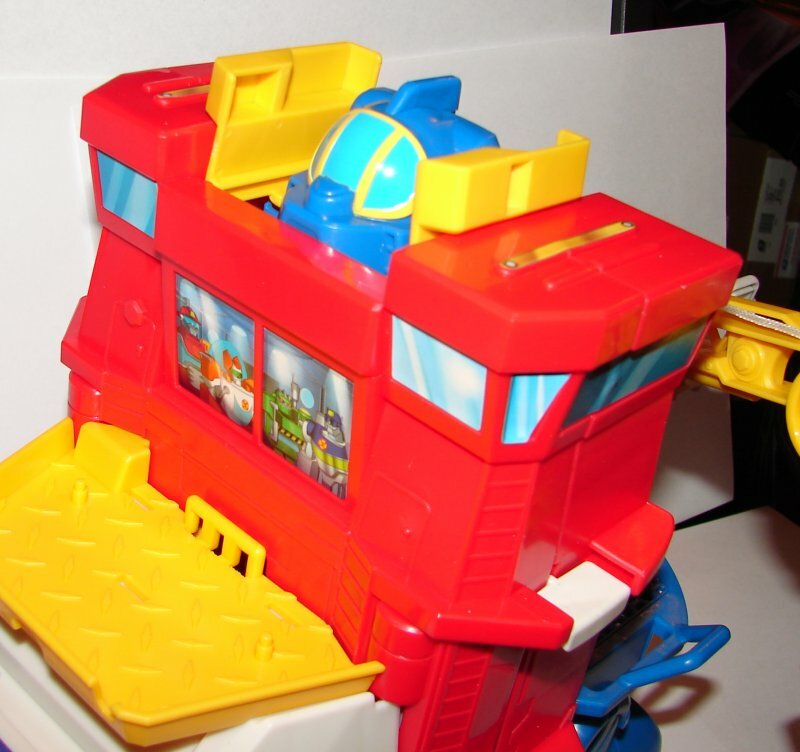 In the cartoon it transforms into a robot. The toy does not. It does have some nice action features though. It has a crane on the back on a platform that can be removed from the boat itself. 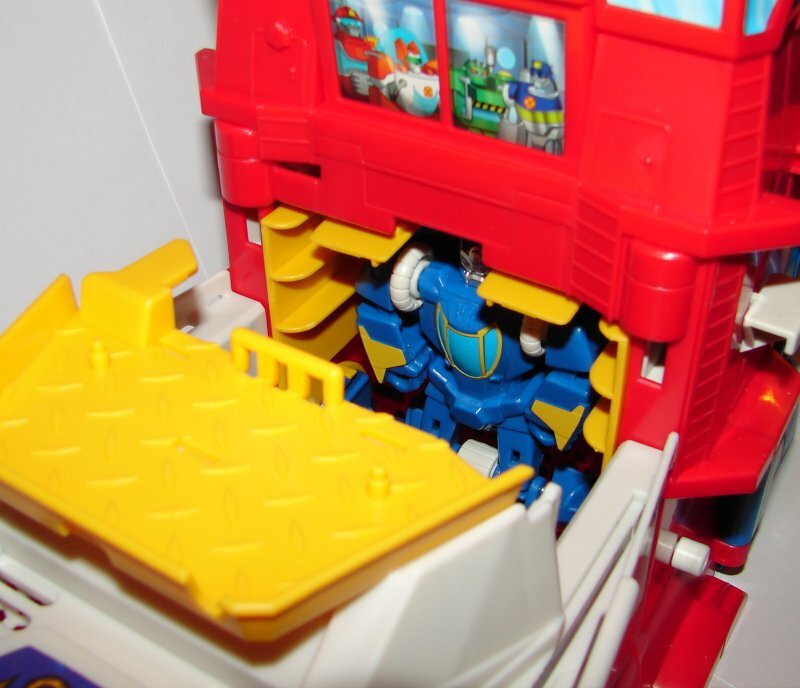 While it can’t transform, you can push up the white slides on each side and have the robots head pop out. Kind of useless given that he has no body. 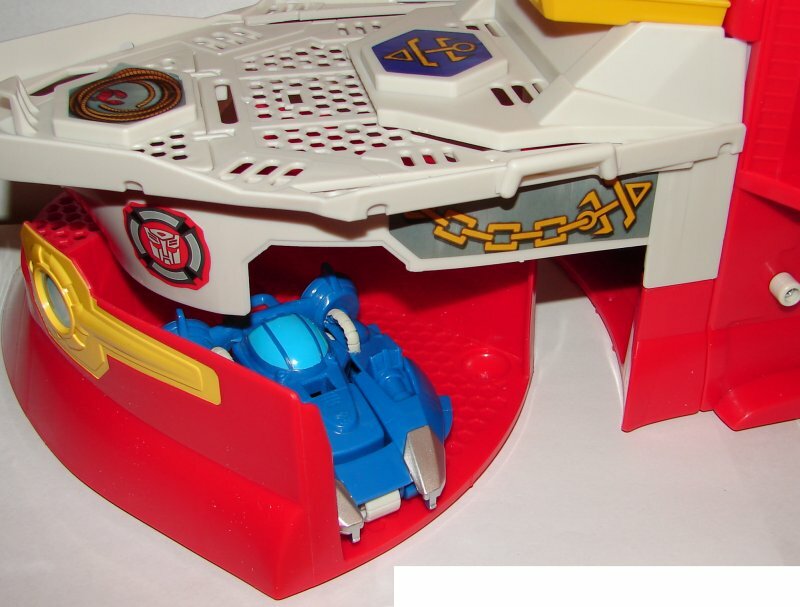 The one really cool feature about this toy is what happens when you open the deck hatch and place high Tide inside in robot mode. 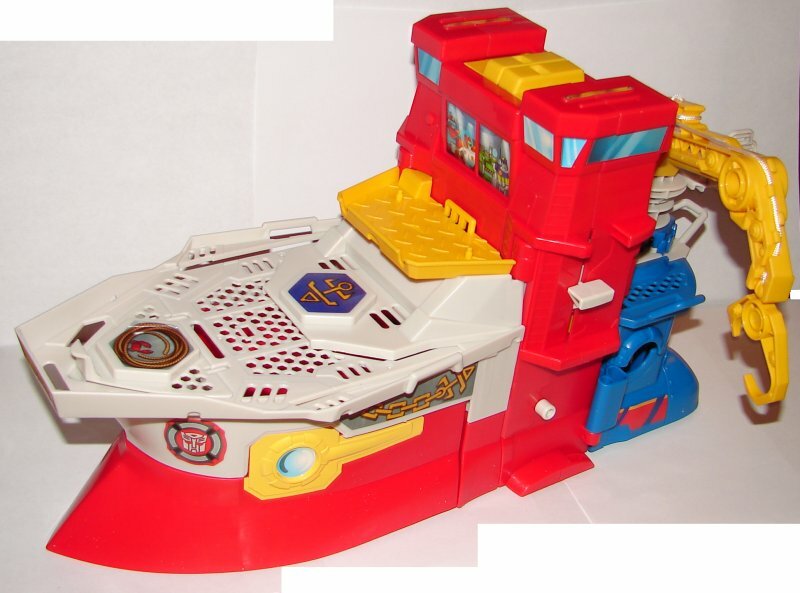 Once he’s inside, push down on the white slides and the mechanism transforms him automatically and puts him into the front bottom of the boat. That is really cool, even if his transformation is really simple. 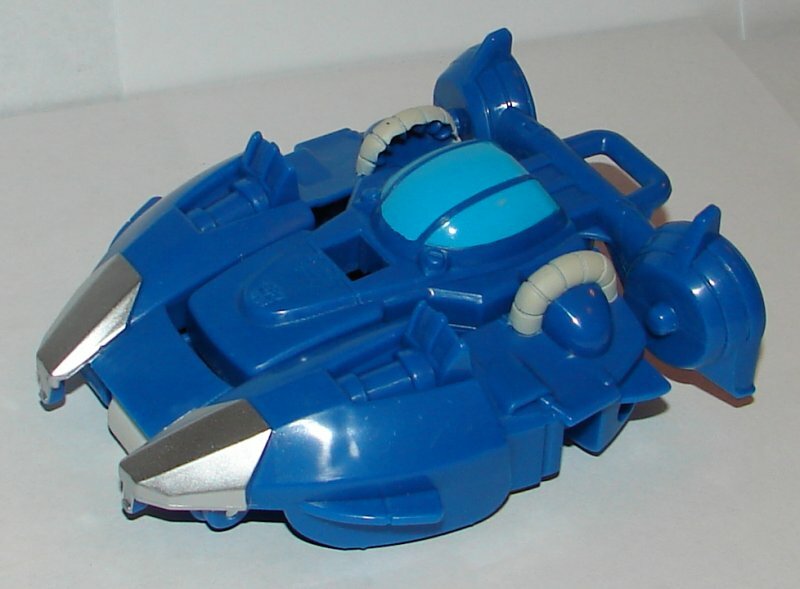 The major flaw this toy has, other than it’s inability to transform, is that the red bottom of the front of the ship does not attach on to it. There is a peg so that it can swing out, but it’s smaller than the port so it doesn’t actually stay attached. 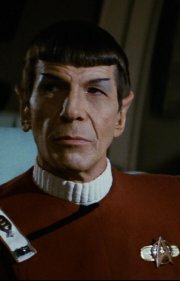 Overall: Some nice features, and I’m sure the kids will love it, but the one thing it needed to do was transform, and it doesn’t do that. 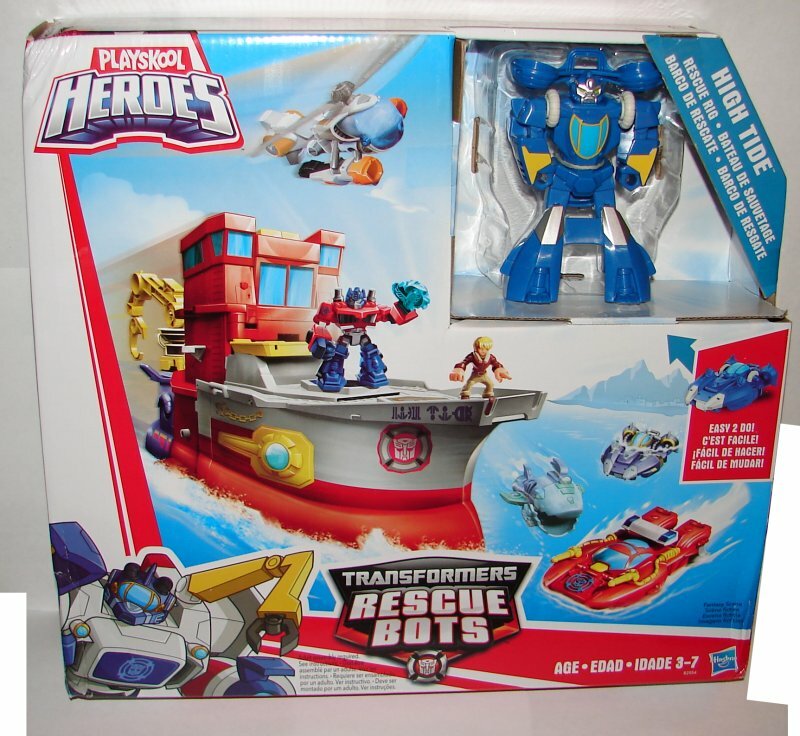 This entry was posted in Toy Reviews, Toys, Transformers and tagged High Tide, High Tide Rescue Rig, Rescue Bots, Rescue Rig, Toys, Transformers. Bookmark the permalink.